8 Amazing Natural Remedies That Remove Age Spots Fast! 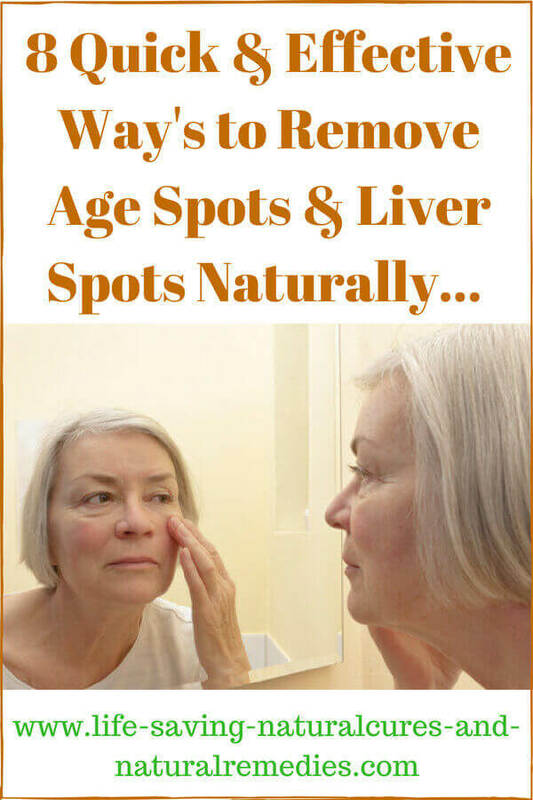 Age spots or liver spots are quite common in people over the age of 50. These noticeable brown spots can show up anywhere on the body, however, the face, hands, shoulders, arms, neck and back are the most common places. Age spots used to occur primarily in older people (hence the name “age spots”) and not so much in younger folk. Now though, you actually see age spots developing on people under the age of 50 quite regularly. So you have to ask the obvious question… why is this happening? The medical profession will tell you that the sun is to blame, yet people who spend no time in the sun still get age spots. Although too much sun exposure can be a contributing factor (remember, we all need a certain amount of sun exposure every day for vitamin D production), the sun is not essentially the main culprit. According to famed doctor, Dr Joel Wallach, rancid fat accumulation and vitamin and mineral deficiencies are the main causes of age spots and liver spots. A poor functioning gut and an excessive build-up of free radicals in the body are two other major causes. Once you correct these problems and deficiencies, you’ll actually see those brown spots disappear quite quickly, no matter where they're located on your body. So to get rid of your age spots or liver spots in the least amount of time, you need to be looking at using a combination of both internal and external remedies (holistic approach). Apple cider vinegar should definitely be your first “go to“ remedy for age spots and brown spots. ACV contains substances known as alpha hydroxy acids, which are powerful skin exfoliating and cleansing agents. Apple cider vinegar is also a potent all-round internal cleanser, so it helps remove toxins, free radicals and rancid fats from the body. In addition to this, ACV is an excellent gut cleanser and healer and contains crucial gut probiotics. It’s also rich in many of the essential vitamins, minerals and antioxidants that are needed to help get rid of age spots, including vitamins A, C, E & B2, along with the minerals selenium, zinc and potassium. For best results, the ACV should be taken internally (orally) as well as applied topically to the skin. For internal use, simply mix a tablespoon of raw organic ACV with the “mother” (such as these) in a glass of warm filtered water and drink down. You can add a teaspoon of raw or manuka honey for extra benefit and taste too if you like. Be sure to drink this concoction twice daily on an empty stomach (first thing in the morning and last thing at night are the optimal times). For external use, either apply a 50/50 solution of ACV and water combined with ½ teaspoon of honey (to prevent the skin from drying out) to the affected area(s) and leave on for 20-30 minutes before rinsing off with warm water. Do this once daily. Or, apply a solution of apple cider vinegar and a teaspoon of olive oil to the affected skin and leave on for the same amount of time then rinse off with warm water. When applying the ACV topically, you will feel a slight burning or tingling sensation. This is normal. Also, make sure that the apple cider vinegar you purchase is the raw, organic ACV with the mother. This is critical. Do not use processed vinegars of any kind or any vinegars that don’t contain the mother. The Bragg's brand of apple cider vinegar is definitely the best if you can get it (here’s what it looks like). Lemon juice is a great topical remedy for age spots and liver spots. It contains citric acids and vitamin C, both of which remove dead skin cells (the darker skin layers). This process helps to lighten the skin, including any subsequent blemishers or skin conditions such as age spots, brown spots, freckles and seborrheic keratosis. Lemon juice also contains strong antioxidant nutrients and compounds, so it’s a great internal cleanser and remedy as well. For external use, apply the juice from a fresh lemon to the affected area and leave on for 20 minutes. Wash off with lukewarm water afterwards. 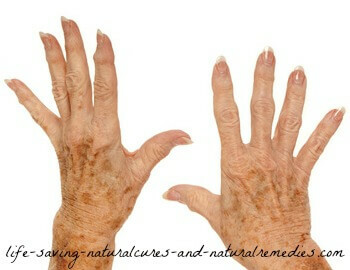 If you find the lemon juice irritating to the skin then either dilute with some rose water or use onion juice instead. For this, simply slice up an onion and rub over the affected areas a couple of times each day. Be sure to wait at least an hour before going out in the sun after applying either the lemon juice or onion juice. Because lemon juice is a powerful detoxifier and internal cleanser, make sure you add a few slices of fresh lemon to your daily drinking water (filtered water of course, not tap water) for extra benefit. Remember too, only ever use fresh lemons. Never consume - or use externally on the skin - bottled lemon juice from the supermarket as these contain added chemicals. Castor oil works an absolute treat for age spots, liver spots, and even freckles. The potent antioxidants contained in castor oil are excellent for protecting, healing and lightening the skin. Castor oil doesn’t dry your skin out either. It actually makes it softer and smoother, which is why many women use it daily. You can apply castor oil directly to the skin without causing any harm or irritation, so there's no need to worry. Dab some castor oil on your age spots and gently rub in. Leave on for as long as possible before rinsing the skin then moisturize with some organic coconut oil afterwards. 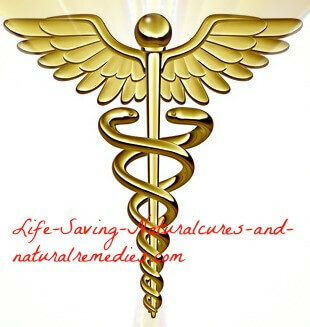 NOTE: Do not buy a cheap brand of castor oil as many of these oils have been found to be toxic and rancid. You get what you pay for. Invest in a quality brand of organic hexane free cold pressed castor oil that comes in a sealed dark bottle (like these). It’s definitely worth paying the extra, and you will get the results you’re looking for. Because rancid fat build up is one of the major causes of age spots and liver spots, getting rid of this toxic fat accumulation is crucial to curing this problem for good. When you have rancid fat in the body, the one place it loves to accumulate is below the top layer of skin. Look at someone who leads an unhealthy lifestyle, eats lots of junk foods and fried foods, and you’ll more than likely notice age spots and liver spots on that person. To remove these unsightly looking rancid fatty spots, there are two things you need to do. Firstly, begin taking in lots of healthy fatty acids, particularly omega-3 fatty acids and medium chain fatty acids (MCT’s). Fish oil, krill oil and flaxseed oil are all rich in healthy omega-3’s so make sure you supplement with one or two of these each day. Organic virgin coconut oil is rich in crucial MCT fats so be sure to consume a tablespoon or more of coconut oil each day as well. These good fats help remove rancid fat from the body, which of course means they also help remove age spots and liver spots. The second thing you must do to get rid of age spots is you must avoid all unhealthy fats that go rancid in the body (or else taking omega-3 and MCT’s won’t help at all). This includes fats from fried foods and polyunsaturated fats from cooking oils (Crisco, vegetable oils, etc). Do not cook with or consume processed vegetable oils, ever! These oils are rancid and incredibly toxic to the body. Use coconut oil for cooking instead. Minerals such as selenium, zinc and copper contain exceptional antioxidant properties. Once you begin supplying your body with these crucial nutrients, you’ll not only see your age spots and liver spots disappearing fast, you’ll also notice just how much more energy you have (minerals and trace elements are essential for energy production). Receiving the minerals you need every day is easy. Simply go to your local supermarket and purchase some Himalayan pink rock salt. This pink crystal salt contains over 75 essential minerals and trace elements in a highly absorbable form. It’s perfectly safe to consume (no it doesn’t raise your blood pressure) so be sure to use it in your cooking as much as you can and to salt your food to taste! Good old hydrogen peroxide helps with just about any form of skin problem, including age spots, brown spots and freckles. HP is essentially a peeling agent, so it removes the dead skin layer of the skin leaving fresh new skin exposed (which is what you want). 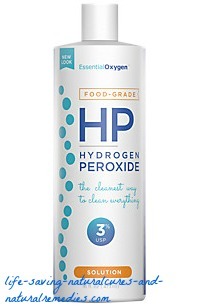 Hydrogen peroxide is also an excellent lightening agent, which is why it’s regularly used to whiten teeth. Dermatologist, Dr Karen Burke, recommends using hydrogen peroxide on age spots and liver spots as an inexpensive over-the-counter treatment. She advises using the 12% HP solution and applying this directly to the affected areas with a Q-tip or cotton swab. All you do is hold the swab on the age spot(s) until a slight sting is felt. Leave on for 20 minutes then wash the affected area with warm water. It’s also advisable to test the hydrogen peroxide on a small inconspicuous area first just to be sure. Hydrogen peroxide can irritate sensitive skin, though this rarely occurs with the 12% solution (but test anyway just in case). Repeat this process every day until your age spot(s) have disappeared. Because HP can dry the skin out, it’s also recommended that you apply a natural moisturizer such as coconut oil to the skin afterwards. This magnificent “cure all” plant is also an excellent topical treatment for age spots and brown spots. Aloe vera contains powerful plant compounds that cleanse and exfoliate the skin, and at the same time, promote the growth of healthy new skin. Aloe vera is also an excellent hydrator and skin moisturizer. Cut off a fresh piece of aloe vera from the plant and rub the sap/gel on the affected area. Try and leave on for at least an hour before rinsing off with some warm water (it does become quite sticky). Or, if you don’t have access to a fresh aloe vera plant, buy a natural aloe vera gel and apply this once daily, preferably about an hour before you take a shower. Along with avoiding all fried foods, junk food and polyunsaturated oils, all refined and processed foods should also be avoided. These man-altered disaster foods do nothing for your health and supply the body with zero nutrients. The foods you should be eating are the obvious ones… lots of fresh fruits and vegetables, especially green leafy vegetables, seeds and nuts. Probiotics are particularly crucial for maintaining a healthy gut so be sure to take a good quality probiotic supplement (along with your apple cider vinegar) every day and eat plenty of fermented foods such as sauerkraut, kefir, miso and pickled vegetables (here’s a handy website on how to easily make your own fermented foods at home if you're interested). Look into the ketogenic diet as well. This diet is all the rage at the moment simply because it’s so effective and so good. 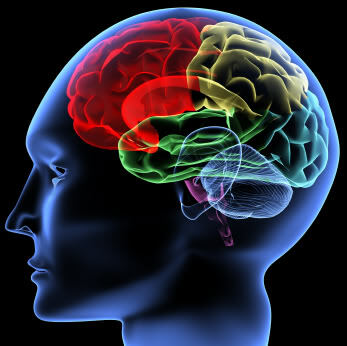 A ketogenic diet focuses on detoxing the body and using healthy fats for energy rather than carbohydrates. One of the benefits of this is you don’t get rancid fat build up, neither do you get age spots and liver spots. In fact, your skin looks and feels much healthier and much younger! You can read more about the ketogenic diet plan here… Ketogenic Diet for Beginners. So there you have our top 8 remedies and recommendations for getting rid of those unwanted liver spots in a hurry and for good. We recommend that you try and use as many of the remedies listed as possible, particularly numbers one, four, five and eight, for best results and to keep those unwanted age spots away. Remember this, if you keep your internal organs and insides healthy and free of rancid fats and harmful free radicals, you won’t need to worry about age spots or liver spots again. Plus, you’ll have more energy and feel better than you’ve felt in a very long time! Hope these tips and remedies help. Go from natural remedies for age spots & liver spots to "16 stunning youthful skin remedies"